"Oregon’s opioid crisis affects all of us—some of us have lost loved ones to opioid misuse, while others have themselves been victims of addiction. 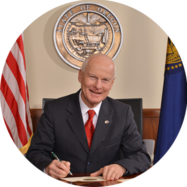 "Tomorrow, I will release an audit on the status of Oregon’s response to the opioid crisis through the Oregon Health Authority’s (OHA) Prescription Drug Monitoring Program (PDMP). I am personally heartbroken by some of the findings in this audit. Oregon badly needs more tools to address the opioid crisis, reduce substance abuse, and help victims. We can do better, and this audit identifies concrete solutions that can help save lives. "Given the extent of the concerns identified by the audits team, my office has called a press conference to publicly discuss the findings and recommended solutions. "I encourage you to attend the conference tomorrow, December 11, at 1:00pm in the Capitol Press Room or join via the Capitol Press Room Livestream for this important briefing."